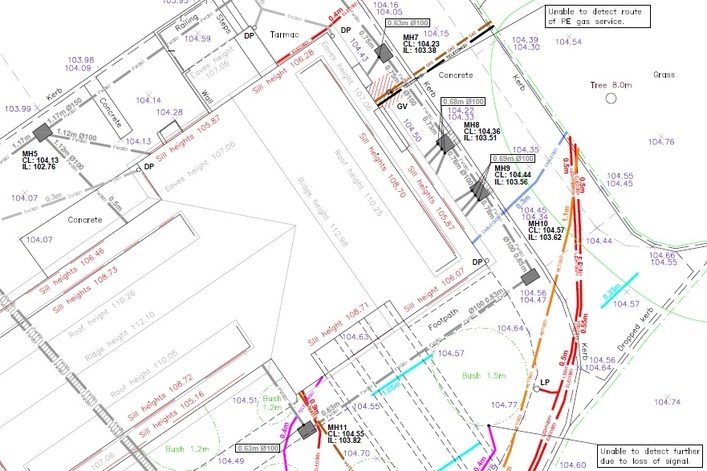 As part of our Underground Mapping Survey works we also carry out Topographical Surveys in line with RICS Standards. We can achieve cost efficiencies by completing both pieces of work, as we need to collect some topographical reference data in most instances as a matter of course regardless. Results can be provided in either 2D plan view or as a 3D model, as shown below.